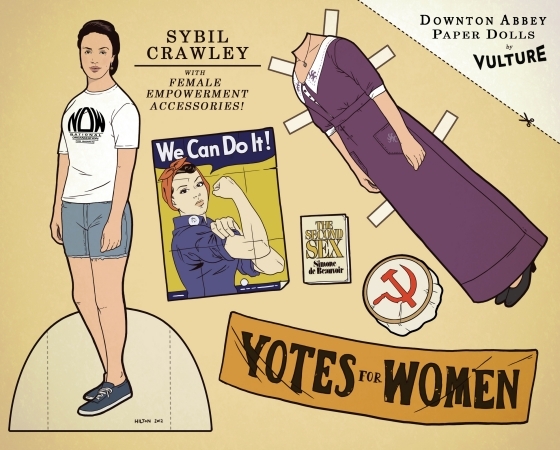 Downton Abbey wraps up its second season this weekend, when the stellar Christmas special airs on PBS on Sunday night. (Seriously, this Christmas Special. It may even make you forget the stranger-from-the-past double-reverse-amnesia plotline.) 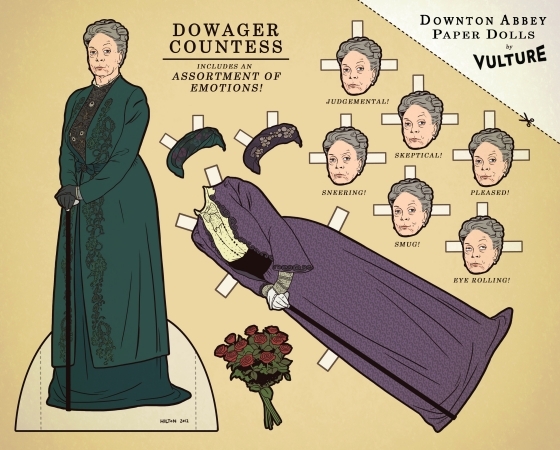 To help get you through these next many months without Downton(season three! With Shirley MacLaine! Can't come soon enough! 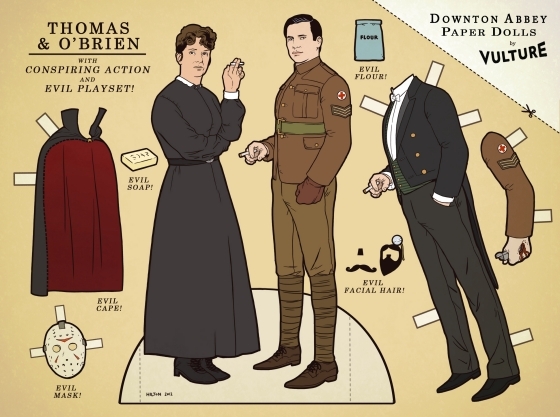 ), here are four sets ofDownton Abbey paper dolls created by Kyle Hilton. You may not be able to watch new episodes for a while, but you sure can cut these dolls out and make up your own story lines. (Imagine all the things you can make Matthew and Mary do...) Below, please find printable paper doll sets — click on them to see a bigger version—of the Dowager Countess (complete with multiple facial expression), Matthew and Mary, Thomas and O'Brien and their villainous accessories, and Sybil in a contemporary T-shirt. Print out the Dowager Countess here. Print out Thomas and O'Brien here. 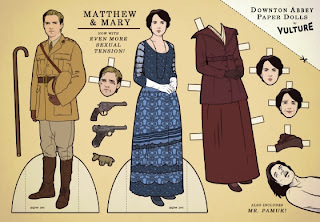 Print out Matthew and Mary here.